The Lower Elementary Cottage: Thank you! Time to Shop! I have to say a great big THANK YOU to all of you!! Today I got my very first check from Teachers Pay Teachers!!!! Excited really doesn't even begin to cover it. I'm downright giddy! This wouldn't be possible without WONDERFUL followers like you!! I'm a big saver, but I think I'm going to use this for fun money :) I completely hate my barely functioning my work computer, and it seems to hate me back. It's a mutual dislike. So I think I'm going to go pick up a cheap laptop to keep at work (or go back and forth to my house). I have a computer, but it was never one I intended to use anywhere other than my couch, so it's big and bulky. I think it's time for a smaller, lighter laptop/Netbook. You guys are the best. Thank you, thank you, thank you! I'm only 17 followers away from my 100 follower giveaway. I have one person already offering to join in. Please let me know if you want to be featured on my blog and donate one of your products to the giveaway. I'll add your info to the rafflecopter. 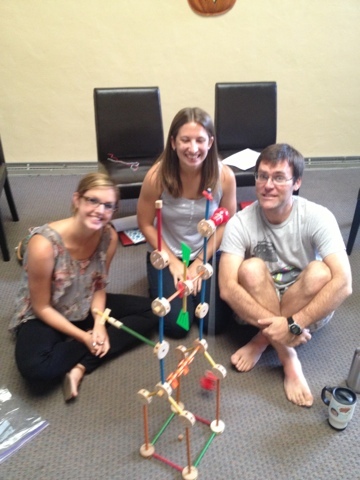 Yesterday's in-service was rather useless, but fun. 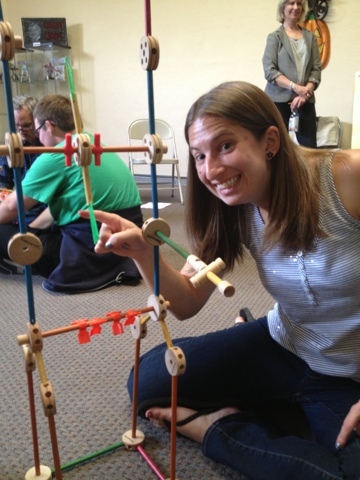 An expert on "emotional learning" came in and we played with Tinkertoys and built towers. Then we played a game where we made up an imaginary suitcase and all of us got to add a cool feature and the person next to us made up a goofy reason why that thing was necessary. By the end it had wings, a refrigerator and a self-packing device among other things. By lunch I hid in my classroom and did a bit of prep work, then left early since none of our administration was on campus. 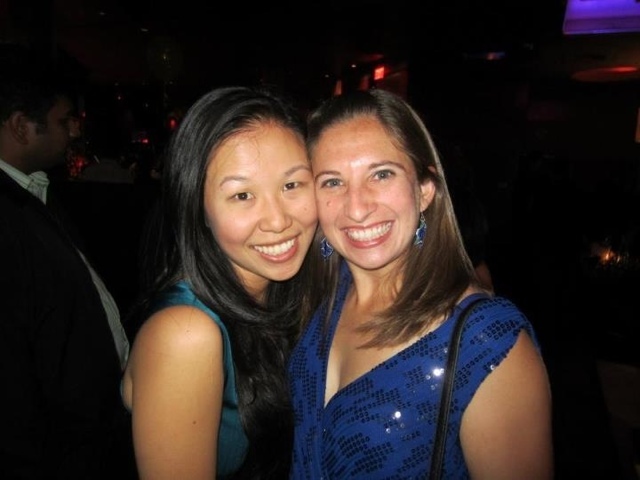 Last night was my 10 year high school reunion. It was more fun than I expected, but I stayed our far later than I have in years! Coffee was a necessity this morning! There's a pic down below. I'm in the blue dress. 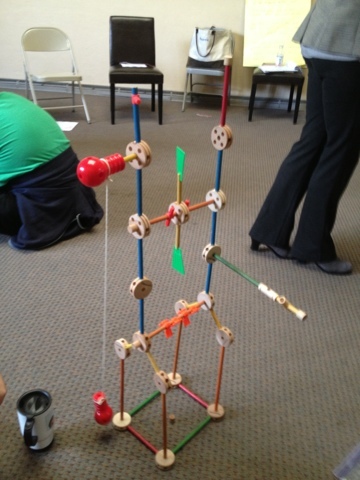 Also, check out the Tinkertoy tower. Sadly, I'm in the middle with my eyes closed. Oops! I'd LOVE to be a part of your 100 follower giveaway! Count me in!